​We’re turning 10 and we want to celebrate with YOU! Join us August 11th at Mercy Lounge for a night of music and celebration! 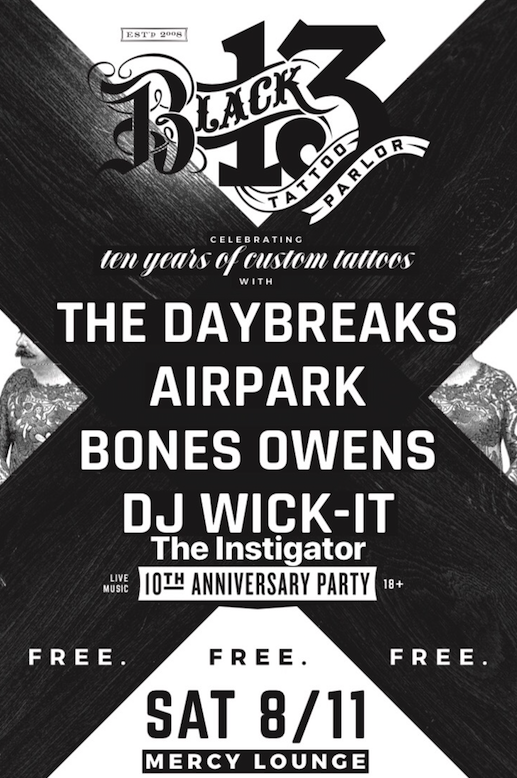 We’ll have music from local greats The DayBreaks, AirPark, Bones Owens and Wick-It The Instigator! Snap a photo in our photo booth and get a temporary tattoo! This event is free to the public and 18 and up. 9pm. For more info click here.